aFe Control is proud to release the PFADT Series, Lowering Kit for 2014 & Up Corvette C7. This lowering kit is designed to lower your C7 up to 1.25” enhancing the sleek, body lines, and giving it a more aggressive, stylish look. Designed to work with the factory transverse leaf springs, the package includes 4 lowering bolts. 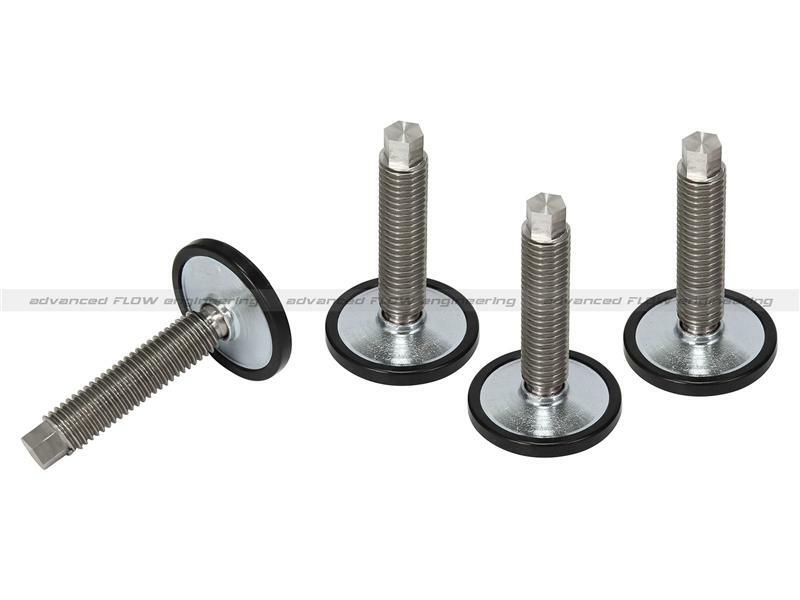 These aren’t ordinary bolts, unlike the factory bolt and pad, our bolts feature a CNC, machined stainless steel stud with wrench flats, mated to a articulating foot, and a nylon foot pad. This design offers years of corrosion resistance and smooth suspension articulation, and quiet operation. Designed as a direct fit installation, no modifications is necessary, and can be used with factory shock absorbers, or for a even better ride, try our Johnny O’Connell signature series shock upgrade. Stainless Steel, CNC machined adjuster stud with wrench flats for years of durable service and corrosion resistance. Articulating ball stud for perfect alignment between foot and stud. Nylon, foot pads, for smooth articulation and quiet operation. Direct fit Installation, no modifications necessary.